A secular land, India, is the home to people of many faith. Preserving history and places of worship, the country is a destination that is ideal for a pilgrimage tour of any religion in the world and that would include one of the oldest religions, Judaism. India offers some of the traces of this ancient world religion that originated in Israel. In our 12N/13D Jewish Heritage Tour we take you on a journey that reflect the rich Jewish inheritence in the country. 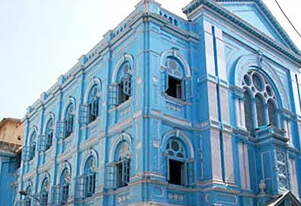 Our heritage tour will first take you to the land of Mumbai, where Jewish heritage is preserved in the form of Knesset Eliyahoo Synagogue, which is also known as Fort Jewish Synagogue, Tifereth Synagogue and Magen David Synagogue. Gate of Mercy Synagogue and the rocky outcrop in South of Mumbai also mark the significance of Jewish heritage in the city. Adding to this impeccable journey would be the tour of heritage of Delhi along with the visit to Judah Hyam Hall, which is a centre for Jewish and inter faith studies. 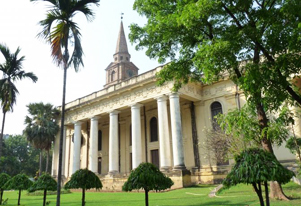 On this tour, you will also get the opportunity to explore the culture hub of India, Kolkata. Here, along with two Jewish Girls’ Schools at Park Street and Bowbazar, we would take the meandering roads of Kolkata to explore the rich hertiage. Our tour will come to rest at the serene Cochin city in Kerala, where we will seek blessings at the ancient North Parur Synagogue and Chendamangalam Synagogue. Upon arrival in Mumbai, meet our representative who will assist you to the hotel. Overnight stay at the hotel. Today, we will visit Knesset Eliyahoo Synagogue, which is also known as Fort Jewish Synagogue and was established in 1884 by Mr. Jacob Sasson in memory of his father. In the afternoon, we shall visit the Tifereth Synagogue and attend the evening service at Magen David Synagogue (starts at 18.30 hrs). Overnight stay at the hotel. In the morning, we can visit Gate of Mercy Synagogue for those who observe Sabbath. A full day tour for those who do not observe Sabbath. Overnight stay at the hotel. Post breakfast, we will visit South of Mumbai to the rocky outcrop. The legend about this place goes like this that 7 men and 7 women survived a shipwreck in the time of Solomon. It is believed that Saint Elijah arrived on his chariot and the mark can be seen on this rocky outcrop. Overnight stay at the hotel. After the breakfast today, we will board a flight for Delhi. On arrival in Delhi, our representative will help you transfer to the hotel for a night stay. In the morning post breakfast, we will go for a full day sightseeing tour in Delhi. 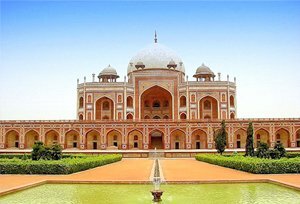 We will visit New Delhi: Laxmi Narayan Temple, India Gate, Parliament House, Qutub Minar, Purana Qila, Humayun's Tomb and Jantar Mantar. After the lunch, we will head out to Old Delhi to witness Jama Masjid, Red Fort, Gandhi Memorial and Rajghat. You also can enjoy the light & sound show at Red Fort in the evening. Overnight stay at the hotel. Today, we will visit the Judah Hyam Hall, which is a centre for Jewish and inter faith studies; and the house of Mr Baruch B. Benjamin who is the first President of the Jewish Welfare Association New Delhi. Overnight stay at the hotel. Post breakfast, we will reach airport to board a flight to Kolkata. On arrival at Kolkata, our representative will help you with check-in to a hotel for a night stay. In the morning today, we shall visit Flower Market, Howrah Bridge, Dalhousie Square (Covering Raj Bhavan, St. John’s church, High Court, GPO, Town Hall, Writer’s Building and other important colonial buildings), St. Paul’s Cathedral Church. Victoria Memorial (Closed on Mondays & National holidays) and Indian Museum (Closed on Mondays & National holidays). Overnight stay at the hotel. After the breakfast, we shall visit two Jewish Girls’ Schools at Park Street and Bowbazar. Post lunch, we will head out for sightseeing of places like Marble Palace, Kumartuli (Potter’s Colony), College Street Book Market and Indian Coffee House. Overnight stay at the hotel. We shall board a flight to Cochin . 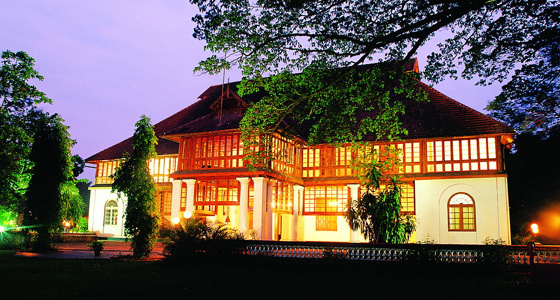 On arrival at Cochin, meet our representative who will transfer you to the hotel. Later, sightseeing tour of Fort Cochin, Santa Cruz Basilica, Dutch Palace (Closed on Friday and Sunday, opening time 9:30 am to 4:00 pm) at Mattancherry, St. Francis Church and Chinese fishing nets. 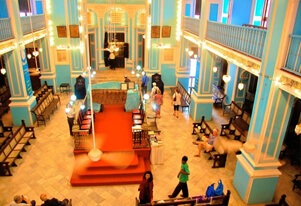 We will visit the ancient North Parur Synagogue and Chendamangalam Synagogue today. Overnight stay at the hotel. After the breakfast at hotel, we will drop you to airport for onward journey.